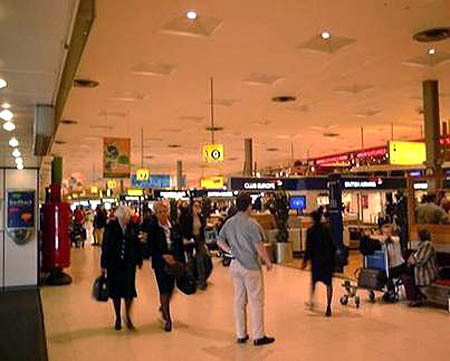 Air travel can be exhilarating and at times a very tiresome means of transportation. We always hope that an airplane will swiftly deliver us to our destination – no fuss, no bother. Unfortunately, it does not usually work out that way. More often than not air travel difficulties begin on the ground, where human inefficiency and the government security system conspire to reduce the entire process to a snail’s pace. We begin on Thursday at Seattle’s SeaTac airport, where we arrive at 3:00 pm in order to check in, wait in line, and undergo security inspections before our 6:30 flight. After waiting several hours for our ride there are additional delays in preparing the airplane and processing hundreds of ticket-holders. Then there are more delays getting the airplane into the queue with others waiting to take off. We finally get off the ground forty minutes late. The real marvel of air travel is that a favorable shift in air currents high above the Earth can reverse endless delays on the ground. We manage to reach London’s Heathrow Airport on schedule at 11:00 in the morning, with the help of a tail wind pushing us towards our destination. However, on the ground again we are faced with a long wait for an evening flight to Greece. We wander aimlessly through the terminal, watch other travelers dressed in strange clothing and speaking unfamiliar languages, and occasionally nap on rows of attached seats not designed for sleep. Terminal 4 is rather like a large shopping mall with airplanes coming and going. It is very difficult to find a comfortable place to sit, and impossible to avoid the steady stream of agitated travelers. Finally, after many hours of boredom, departure time approaches and we watch the schedule board for the gate to be announced. Unfortunately, fate and British weather changes the schedule. A rain storm has moved into the region and all flights leaving Heathrow are delayed. Our flight is delayed by thirty minutes and then, thirty minutes later, another forty-five minutes. We manage to get off the ground two hours late. Once again the trick of air currents enables our pilot to gain some lost time and land us in Athens at 3:00 am on Saturday. Discounting the crossing of several time zones and a dateline during flight, it is about 26 hours since we started out journey in Seattle. After collecting our backpacks from the luggage carousel, we buy an OTE phone card and I use it at the nearest public telephone to call Yiannis (John) Papakonstandinou, our landlord in Athens. Our plan is to catch the Express 95 bus from the airport to Athens; John confirmed he will meet us at the Evangelismos bus stop and drive us to our apartment. 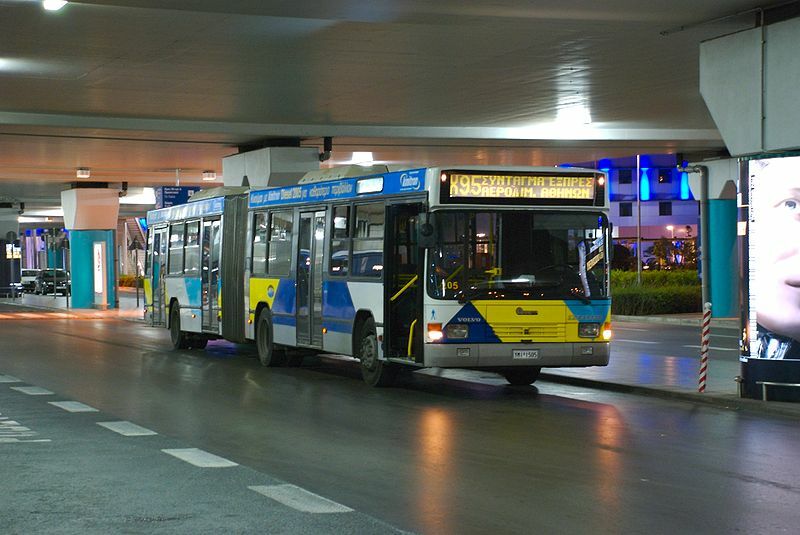 The bus departs on schedule, and within 40 minutes drops us off at the appointed stop on Sofias. As the bus pulls away we look across the street and see John waving from his little red car. He hops out and loads our bags into the back seat, then quickly drives us a few blocks to our apartment on a quiet back street in the Ilissia neighborhood. We discover it is a small studio apartment with bedroom, dining and separate kitchen facilities – just what we need. John gives us a quick tour and demonstrates the electrical appliances and various remote control devices for television, radio, CD player and air conditioning, then says goodbye. We are fast asleep five minutes later. We awake at 9:00 AM, after four hours of uninterrupted sleep, and decide to explore our surroundings in the daylight. According to a street sign at the end of the block, we live on Athenogenous Street. We walk around in expanding routes until we are familiar with the sights and street names within a half kilometer of our apartment, and have found all the shops, cafes and coffee houses within three blocks. After shopping for basic supplies at the bakery, fruit store and local market, we return to the apartment and eat a simple lunch. To get our “classical scholars” passes, we must go to a Ministry of Culture office in downtown Athens, so is back to streets for a bus ride to the city center. It’s a pleasant ride until the bus stops across the street from the old Olympic Stadium. We quickly realize we have taken the wrong bus; this is Konstandinou Street. We get off with other passengers and then calculate our route to Syntagma Square. Before starting the hike we cross the street and explore the renovated stadium. 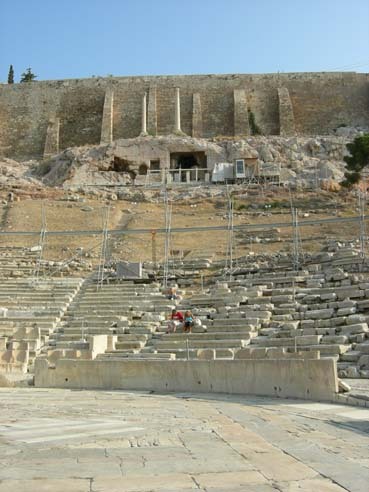 Tucked into a hillside (like the stadiums of ancient times) it has been refitted with new marble, cleaned and polished until it looks as new as it was when Athens hosted the first modern Olympic Games at the end of the 19th century. The field and track are bright and new also, but only a few events were staged here. 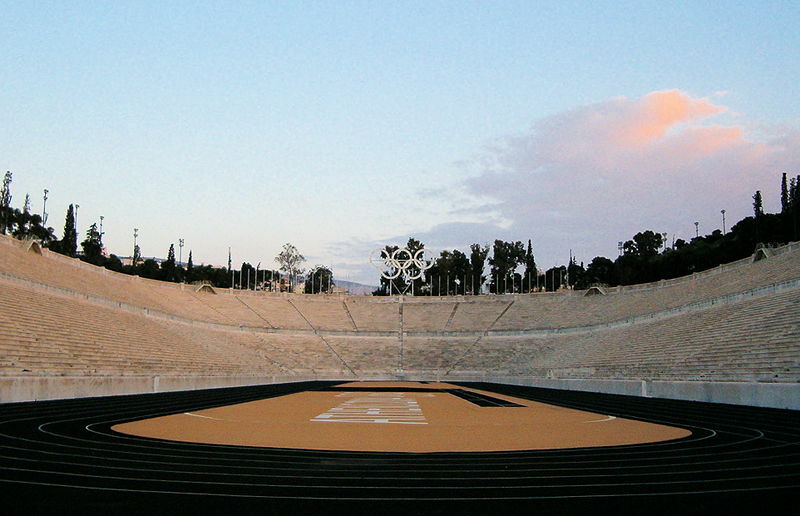 Most of the major events of the 2004 Olympics took place at the huge, new stadium outside the city. 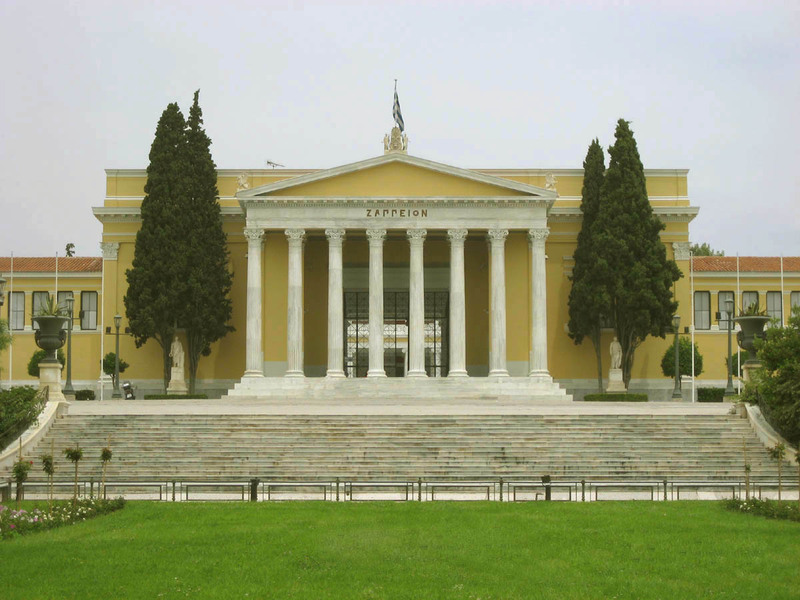 We will have to walk through the National Gardens to reach Amalias Street, and then up to the Parliament building at Syntagma (pronounced sin-TAGH-mah). Along the way we pause at Zappion Hall, built in the Neoclassical style during 1880’s for the purpose of hosting important exhibitions and other events. 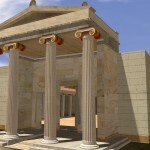 It was the main building in the Olympic Village of the first modern Olympic Games. Zappion Hall is on the edge of the National Garden, which was once the private garden of the palace – a project of Queen Amalia in the 1840’s. It is not so much a flower garden as a luxuriant tangle of trees, whose shade provide palpable relief from the heat of summer. 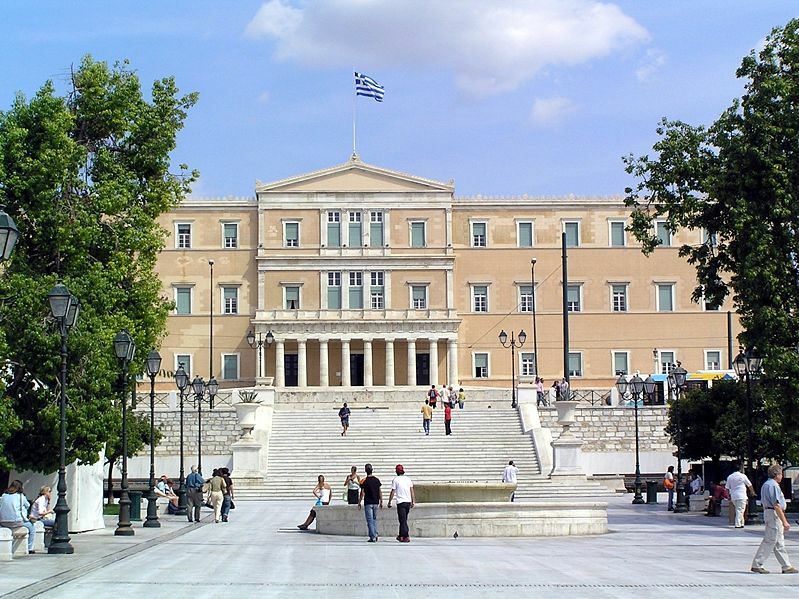 When we finally reach the Parliament, we turn left and cross the boulevard into Syntagma Square, which (like the old Olympic Stadium) was renewed for the 2004 Games. The grass and flowers are carefully tended, new fountains add the sound of water to mask the traffic noise around the square, and a couple of new cafes offer refreshments under canvas shades. It is a different place from the one we knew only two years ago. We stop in at our favorite bakery across the street and buy coffee frappes and sweet rolls to eat near a fountain in the platia. 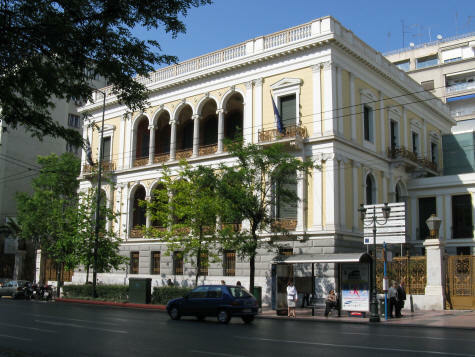 After finishing our snack, we go immediately to the Numismatic (rare coins) Museum on Panepistimiou (University) Avenue just few blocks down the street. 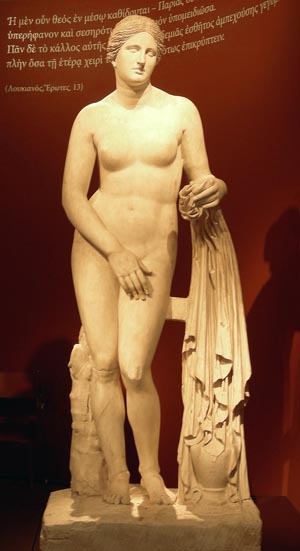 The purpose of our trip is to register with the Greek Ministry of Culture, which has offices in several of the museums in Athens. Upon presenting our credentials, we will receive an identification card that enables us free access to all ancient sites, museums and some archeological excavations. Unfortunately, the office is closed when we arrive. A museum worker tells us that we should return on Monday “before the museum opens,” and go directly to the office. She shows us the small private gate we are to use. 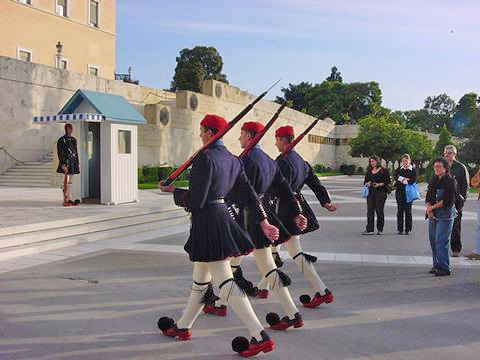 We arrive back at Syntagma Square just in time to see the changing of the Evzone (pronounced ev-zoh-nee) guards at the Tomb of the Unknown Soldier in front of the Parliament building. It is a slow and precise military ritual which people always gather to watch. These ceremonial honor guards are named for elite mountain fighting units, and their traditional uniforms reflect this history. Carefully selected from the best military units, they are highly trained and very disciplined. When the ceremony is over, we follow the relieved Evzones as they march up Sofias Street towards their barracks in the military compound behind Parliament. Along the way we stop at a bus stop to await the ride back to our neighborhood. The remainder of the day and most of Sunday we explore our environs. 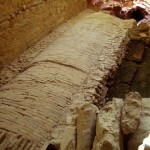 We find several parks nearby and a few cafes that are especially appealing. Our favorite stop for coffee frappes is a place called the Placebo Cafe, which is located at the edge of a park only a few blocks from our apartment. We sit here watching people, writing notes and planning our week in Athens.